The Napa Writers’ Conference is already underway this week, running until Friday, and I imagine many of you are attending. If you’re not signed up for the intensive workshops, you should know about the craft lectures and readings, which are open to the public. Some are free; some have an entry fee, usually $25 each. You’ll find full descriptions with times and locations on the calendar page. This is what’s coming up. Every summer, the Marin Poetry Center organizes a series of readings throughout the North and East Bay. On Sunday, August 12, at 2:00 p.m. Copperfield’s Books in Petaluma will host Traveling Show featured poets Donna Emerson, Gail Entrekin, Dave Seter, Julia Vose and others. For a list of participating poets and venues throughout the Bay Area, visit: www.marinpoetrycenter.org/blog/programs/trav-show. This event is free. The location is Copperfield’s, 140 Kentucky Street, Petaluma. 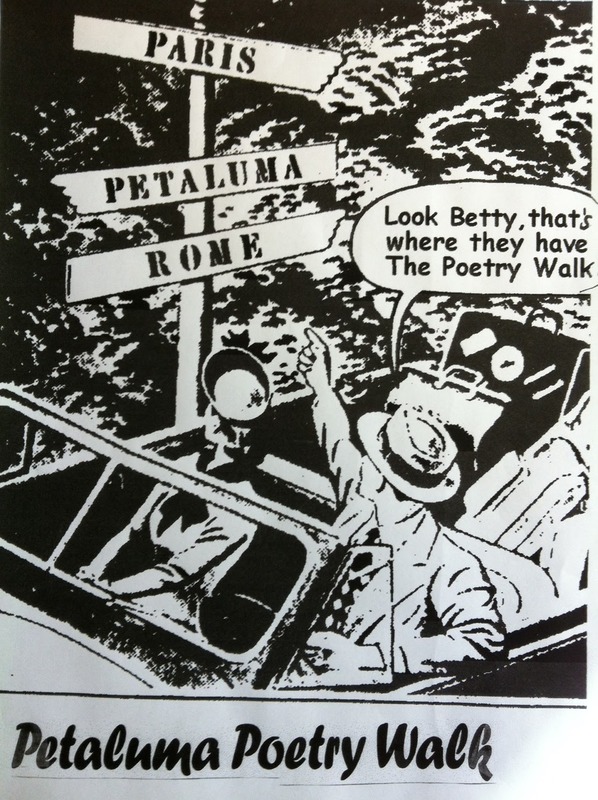 The Petaluma Poetry Walk needs our help. The Walk is an annual event, taking place this year on September 16, 2018. This one-day moveable feast of words features poetry readings held at several venues in downtown Petaluma, including a bakery, a gallery, a restaurant, a bookstore and others, all within easy walking distance of one another. Various groups of poets will read their work at each of these venues. This event has been held for the last 22 years and is the premier poetry event in this area. In years past, the directors Geri Digiorno and Bill Vartnaw have reached into their own pockets to help cover the costs. Local patrons, businesses, and individuals volunteers and organizers have also made contributions to help the Poetry Walk qualify for Poets & Writers matching funds. Unfortunately, this year the funding from Poets & Writers is not available, which is why we’re reaching out with this GoFundMe campaign. Our goal is $2,000, which will cover this year’s printing costs and can hopefully provide an honorarium for the poets who are reading their work. If we exceed this goal, the Poetry Walk will have a small budget to work with going into next year and beyond. You can also mail a check or money order to: PO Box 13, Petaluma, CA 94953. You can make the check out to the Petaluma Poetry Walk. However, if you need a tax deduction for your donation, please make the check out to The Sitting Room, and in the memo space, indicate that the donation is for the Petaluma Poetry Walk. Special thanks to Kevin Pryne for setting up the GoFundMe account, and to The Sitting Room, which has generously offered to be the nonprofit sponsor for this fundraising campaigne. 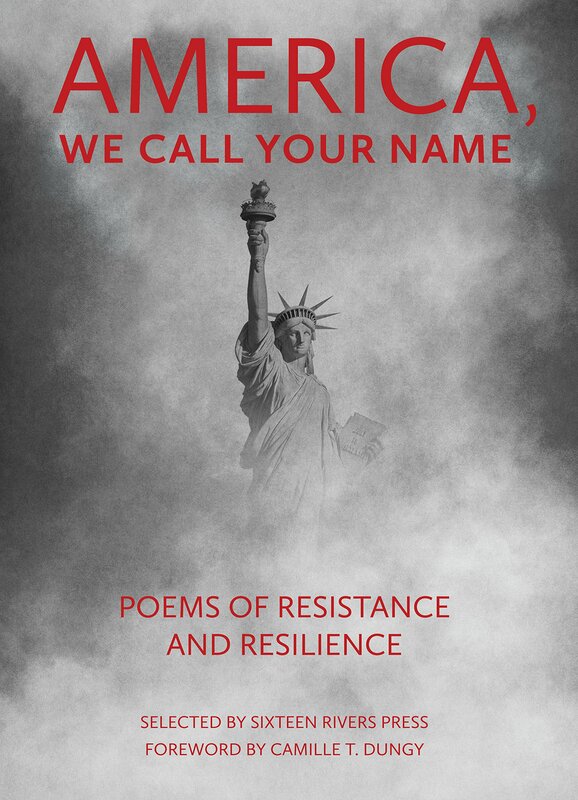 Sixteen Rivers Press is pleased to announce the publication of our new anthology, America, We Call Your Name: Poems of Resistance and Resilience. This anthology, born in response to the 2016 Presidential election, combines the voices of poets from across America—from red states and blue states, high schools and nursing homes, big cities and small towns—with the voices of poets from other countries and other times. From Virgil and Dante to Claudia Rankine and Mai Der Vang, from Milton to Merwin, from Po-Chü-i to Robin Coste Lewis, these voices—now raucous, now muted, now lyric, now plain—join together here in dissent and in praise, in grief and alarm, in vision and hope. The 126 poems in this book call out to America in resistance to threats to our democracy and in the resilient belief that this fragile, imperfect form of government can and must be preserved. Among the work in this collection is Sonoma County poet David Beckman’s “my soon-to-be written protest poem.” Other local authors are Tom Centolella, Janet Jennings, Kay Ryan, Lucille Lang Day, Jane Hirshfield, Susan Terris, Brenda Hillman, Judy Halebsky, and Robert Hass. Scroll down to read a sample poem from America, We Call Your Name. hang swaddled infants in trees during thunderstorms. Their sacred symbol is a stylised boat. having insisted my allowance was myself. 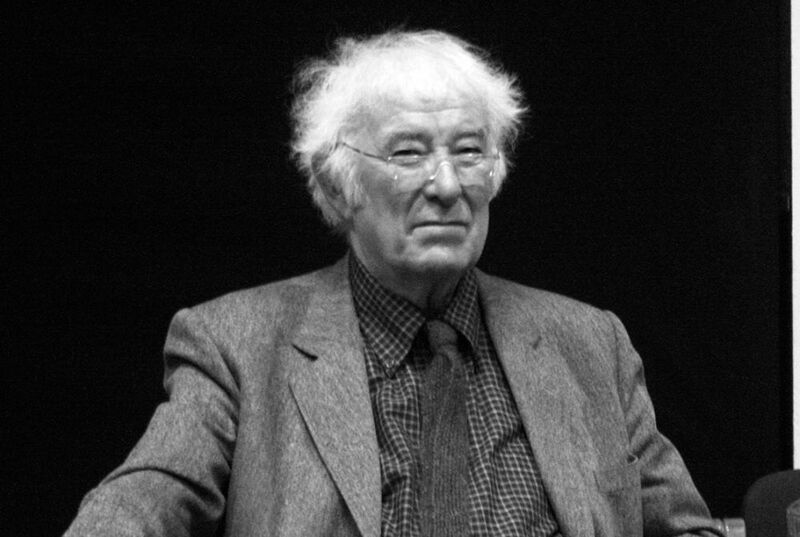 “From the Republic of Conscience,” from Opened Ground: Selected Poems 1966-1996 by Seamus Heaney. Copyright © 1998 by Seamus Heaney.